I bought these from Empress fairly soon after they came out, either at a show or by a process that was popular at the time called "mail order" (ask your parents.... ^__^). So this could be classified as a quick build for me. 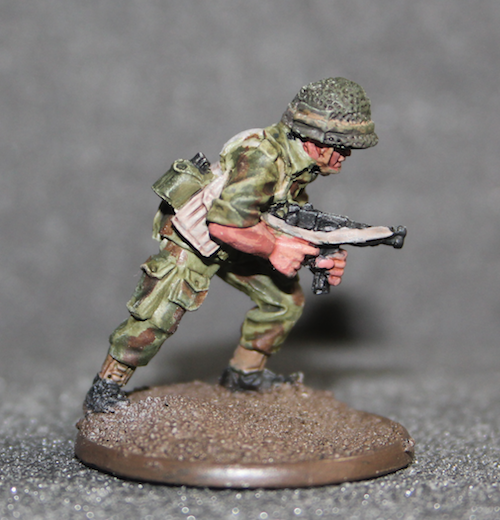 Mainly Citadel paints except the camouflage brown which is Army Painter Oak Brown and the helmet which is Vallejo USA Olive Drab. 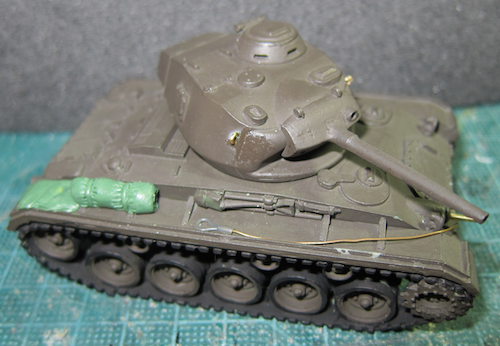 I have dug out an unfinished Warlord M24 which with the Rubicon French decals will provide some much needed support (there is a nice detailing entry on the Troop of Shrewd blog http://troopofshewe.blogspot.co.uk/2017/07/tinkering-withwarlord-chaffee-for.html). Nicely done! Can’t wait to see what you do with the M24! 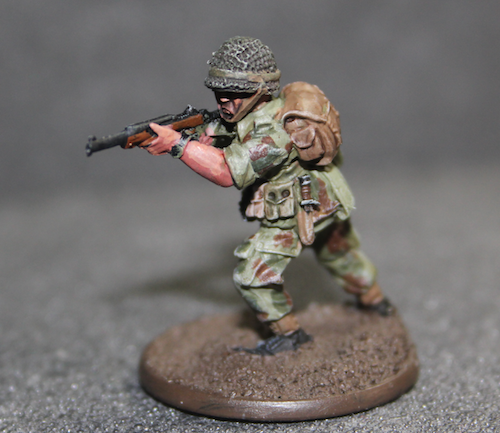 Well this is the M24, an ancient Warlord resin that has been base painted a couple of times. I have started adding lift rings, tow cables (ends from Rubicon) and soft stowage. Like the paratroopers very much. 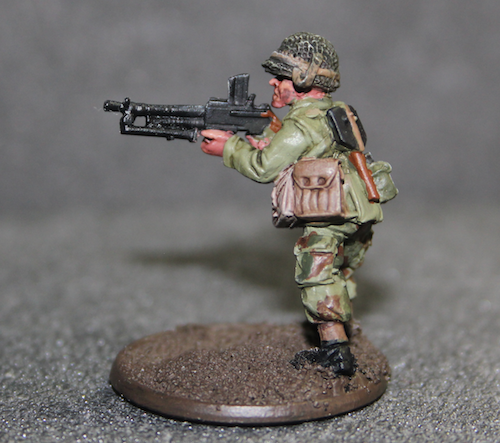 Nice additions of greenstuff on that M24. Looking forward to seeing following this. when they were Red Star. My guys are still unpainted. Well, two days shy of the anniversary of this thread, I have added some more photographs. Not of any new figures, and nothing much has happened to the M24, but of a building. 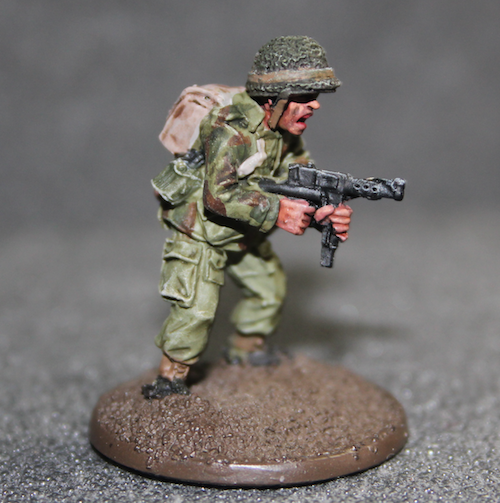 As you might have noticed there are a number of new ranges of figures for the later Vietnam period, especially 1968. At Salute I picked up two packs from Empress (and a pack of Viet Minh regulars). I like to have a few buildings, and Sarissa has a range of North African/French Colonial buildings which I thought would also do for French Indochina, or Vietnam. It is not just me using these buildings out of area, Big Rich is using a larger version of the building for his Rubber Platation (https://toofatlardies.co.uk/blog/?p=7702). 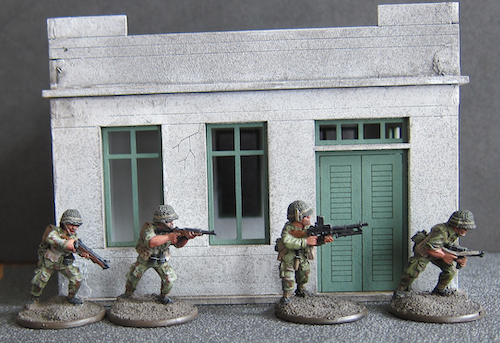 French Paratroopers advance past a building. 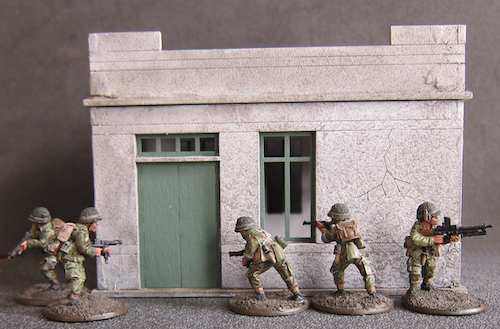 French Paratroopers about to assault a building. Until there are specific Vietnam buildings, these will do. Great stuff. The buildings work well. The buildings work just fine for generic simi-modern colonial era buildings. Hmm great minds think alike! Actually the Sarissa buildings with the addition of tile roofs will work well for Hue. Make your tile roof removable and double them up for Vietnam, Algeria or Aden. In fact those basic structures work most places tropical. Similar buildings exist in Brazil. Extra bonus, there’s a battle damaged version of each. 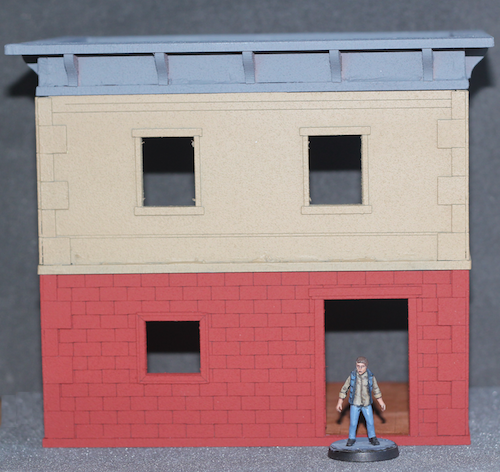 So far I have been fiddling around with some of the newer Knights of Dice items and my old Italeri station buildings. Now, if you want a really big city there’s always the mooted drop of Colonial paras on Paris during the General’s Putch of 1961. Great chance to utilise Gendarmerie manned Shermans against the putschist paras. Would TTCombat's Streets of Venice buildings work for Vietnam? They do some pitched roofs as an add on to the normally flat roofed buildings, so that might bring them into line. I think Carlos also posted that the Italeri Railway Station would work as well. The problem with the TTCombat buildings is one of scale. That is Streets of Venice 7 with Crooked Dice's William Killian on a base for scale. As you can see, the doors are vast as their ranges are scaled for 32mm+ figures (great for Malifaux etc, which is why I have a number in various states of assembly). Bonus points if they use the new interlocking base plates they use on the recent Feudal Japanese village (shown at Salute). I wonder if the Small House (N009) and Single Storey Small House (N021) with the chimney removed would work (I can just about assemble a laser cut MDF building square, adding an embossed plastic sheet to an existing roof is going to push my skills and building a pitched roof is not going to end well ^___^). 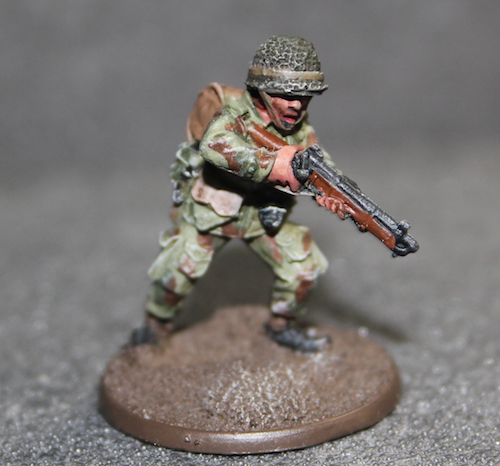 Not for 1961, but the Sarissa World War Europe range is on my list (especially N080) for generic European town combat. The problem with most European range buildings is the pitch angle of the roof, it’s too sharp. You could saw them back/off but it sought of defeats the purpose and flat roofs are easier to modify. Actually, I think the larger buildings like C 103 and C 104 have more potential as former colonial civic buildings but I have the rather wonderful albeit misleadingly titled Italeri ‘Berlin House’ if I want to go down that route. Making your own roofs or even whole structures isn’t that complex. Yes there’s a bit of fiddling about with angles but if you make yourself some triangular formers with plasticard or foam core making pitched roofs becomes a manageable task. The thin plastic tile sheets I prefer are easy to work with, they are like vac-form plastic and you can even cut them with scissors. conceivably found in much of the developing world and examples of which I’ve seen elsewhere in Vietnam. A wall would be nice, in particular the towers, the actual wall itself would probably best be done with pink/blue foam and card or plastic brick sheets. Anyway, back to converting a Dodge WC into a Vietnam era M-37.